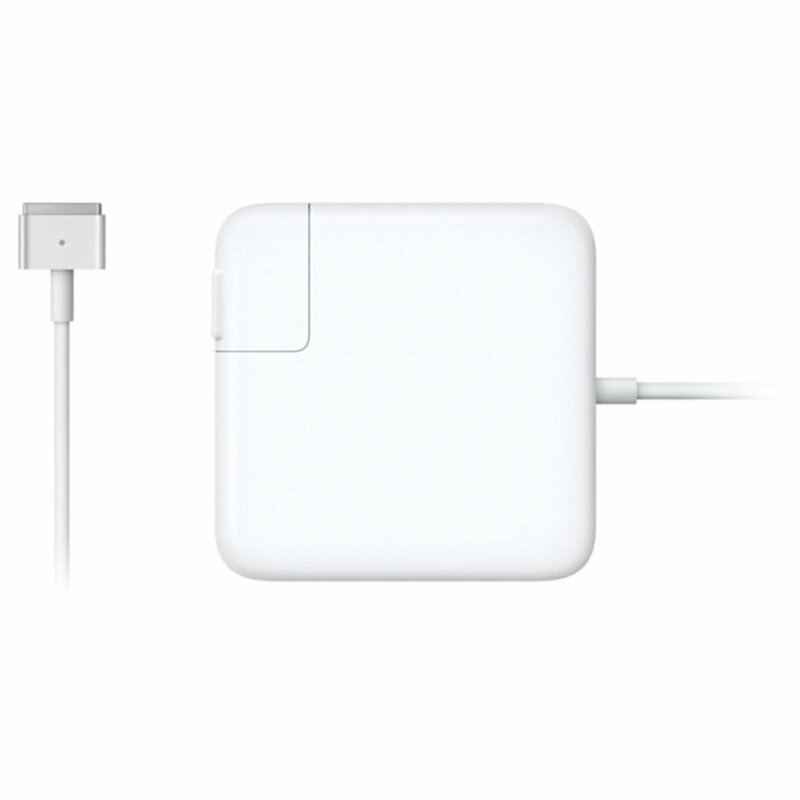 The 60W MagSafe 2 Charger Adapter has a magnetic DC connector. The cord disconnects immediately and your MacBook Pro stays safe if anyone trips over it, . It also helps prevent fraying or weakening of the cables as you use it. The magnetic connector helps guide the plug into the system for a secure connection. Note: This is a Generic replacement charger and it does not come with the apple Logo on the sides.